The AmpliFi HD (High Density) Mesh Wi-Fi System includes an AmpliFi Mesh Router and two wireless MeshPoints. It combines deployment flexibility and maximum Wi-Fi coverage for your home. 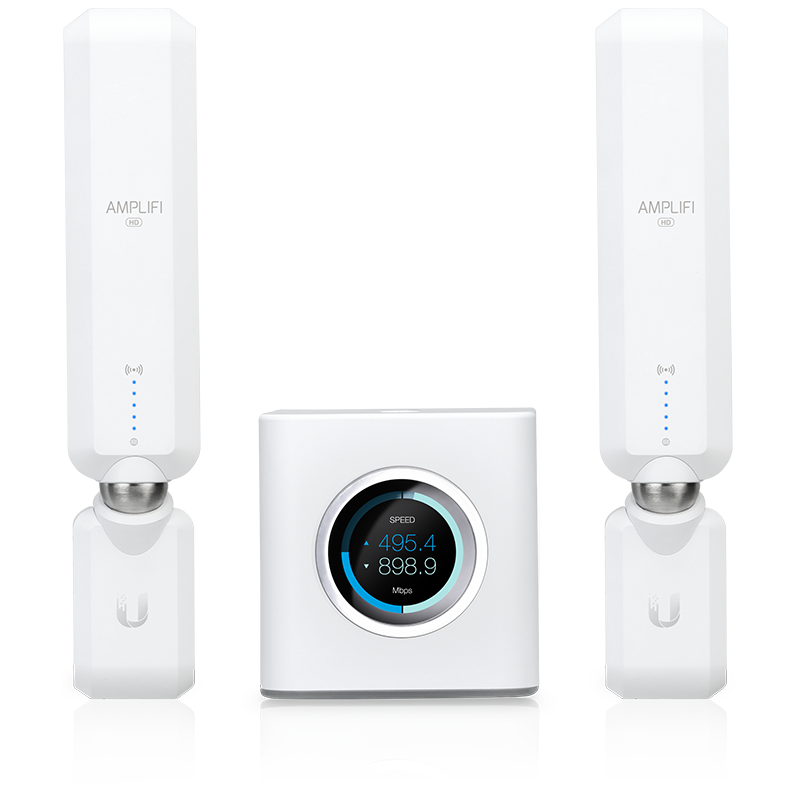 The AmpliFi HD (High Density) Mesh Router takes advantage of AmpliFi's powerful performance and software features. Optionally, you can connect additional AmpliFi Mesh Routers or AmpliFi MeshPoints to expand range coverage. The AmpliFi HD (High Density) MeshPoint features an adjustable super antenna. It can be used to expand the coverage of an AmpliFi Mesh System or turn an existing router or Wi-Fi cablebox into a powerful mesh network. Download the Ubiquiti Amplifi Datasheet (PDF).